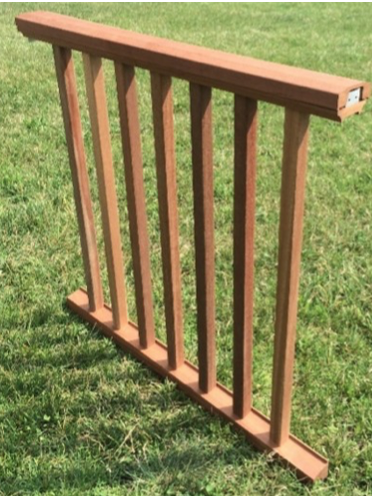 Did you know that Phoenix Manufacturing, Inc. got its start designing Cedar Railings? We have certainly come a long way since those early years, but we still have a special place in our hearts for real wood. We can do different styles other than the Freedom or Liberty, so please call the office for more information. All Wood Rail Kits come in 4’, 6’, and 8’ level sections assembled – knocked down sections are available in stair or if specified. 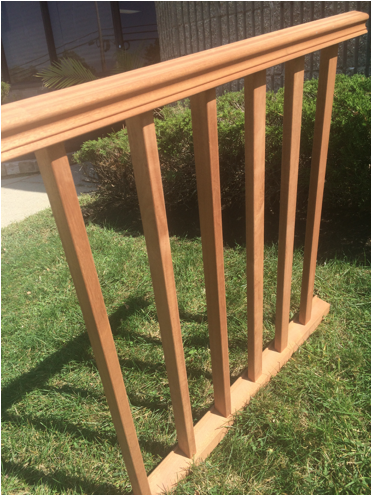 Mahogany Railing comes unfinished – must use an oil based stain BEFORE exposing to weather. Other profiles are available – please contact us for more information.